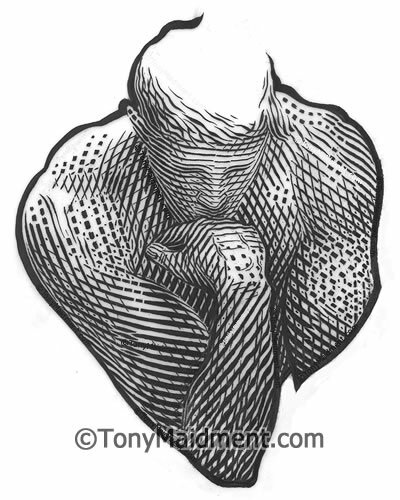 Engraving of Auguste Rodin's 'the thinker'. This site is very new and constantly being updated so please do make allowances and keep popping back to visit. "The taming of metal to create beauty"
Later in the year I will be exhibiting my work where I merge traditional craft with graphic imagery, creating large vibrant paintings in a way that has never been seen before. This dramatic effect will demonstrate the beauty and flow of the simple line and how it can merged with colour, symbolism and modern techniques creating both powerful and elegant imagery. My most recent project is to be an album cover for a new charity called 'Songs to Save a Life' who's goal is to help struggling charities through the sale of records. Already they have amazing musicians signed up and the first charity to be helped are 'The Samaritans'. The Samaritans are very close to my heart as I am trained as one and have seen first hand what amazing work they do. I'm exceptionally pleased to say that it was upon my chance meeting with the founder of 'Songs to Save a Life' Richard Cardwell, where I suggested to him to use the Samaritans for their first charity album. The Garrick Club have kindly given me permission to use their famous bust of William Shakespeare by french sculpture Louis-François Roubiliac (1695-1762), to produce an engraving where a print is to be hung in their miniatures gallery. William Shakespeare would have originally used engravers to illustrate his sonnets when it was first put to print and The Globe Theatre have agreed to sell my work and I am looking to run workshops in their exhibition department to educate the public about this historically rare craft. 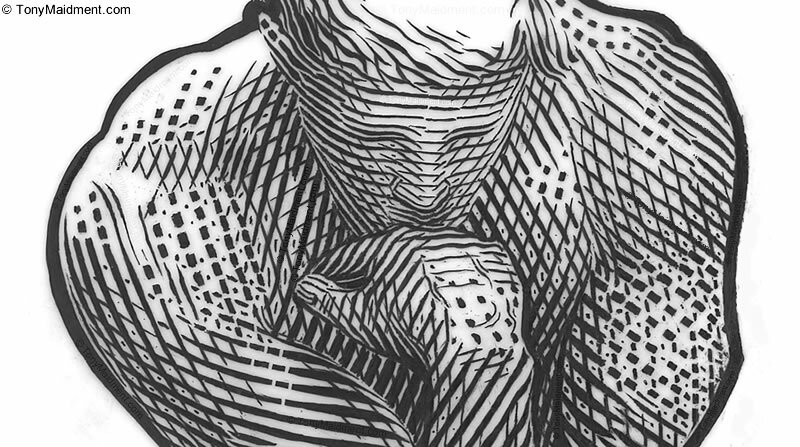 I am looking to start short workshops giving people an insight into the hidden world of banknote engraving. Prints of my work will be for sale on this site very soon. So if your interested in what I'm up too, or other types of work such as commissions, illustrations, or banknote origination, do remember to make sure you leave a note in the comments section, along with your details and I will get back to you very soon. Why not save me to Bookmarks...!